Botley School's cafe opened again on Thursday and will be open every Thursday, from 15:00 until 15:30, for at least the next 6 school weeks. 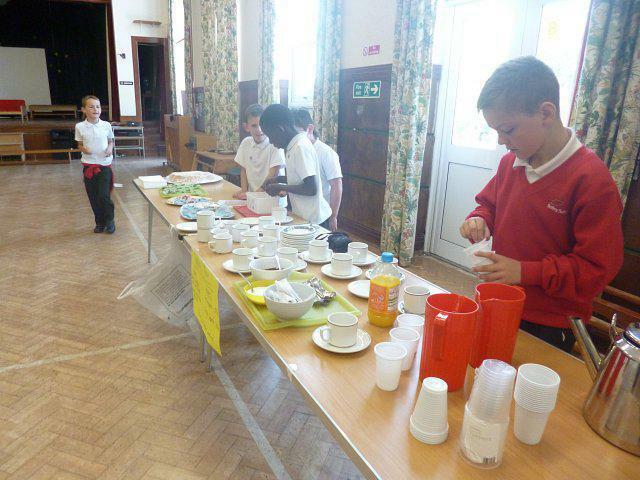 The cafe is managed and prepared for by a group of Year 3/4 boys who, through learning to be positively assertive, share the jobs and work as a team to make the cafe a success. This week they planted their own organic leaf vegetables & herbs ready to be used near the end of the project and designed posters to advertise the cafe. The cafe was selling homemade jam sandwiches, choco-crispie cakes, orange squash, tea and coffee. Come and enjoy a drink and snack in the school hall or in the summer sunshine!